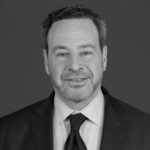 David Frum is a Canadian-American neoconservative political commentator. A speechwriter for President George W. Bush, Frum later became the author of the first “insider” book about the Bush presidency. He is a senior editor at The Atlantic and also a CNN contributor. He serves on the board of directors of the Republican Jewish Coalition, the British think tank Policy Exchange, the anti-drug policy group Smart Approaches to Marijuana, and as vice chairman and an associate fellow of the R Street Institute. "I’m a latecomer to the environmental issue, which for years seemed to me like an excuse for more government regulation. But I can see that in rich societies, voters are paying less attention to economic issues and more to issues of the spirit, including the environment." "Look, the media are trapped by changes in the technology and business of their industry." "So if I have two pieces of cake, do I have twice as good an experience as the first piece of cake? One of the things I’ve found in life is that the first piece of cake is the best." "Why should we not expect self-designated environmental leaders to practice what they preach?" "Whenever you discuss politics, it is always better to use individual names rather then the term neocon." "My mom was truly an iconic figure, a great journalist and a pioneering woman who died at 54 of cancer without ever having revealed to viewers that she was ill."
"To balance China, the democracies will need new friends – and India with its fast-growing economy, youthful population, and democratic politics seems the obvious candidate."